Magnificent close-up of this Mottled Duck. Fabulous detail...love the water drops...pretty reflections in the water, too! 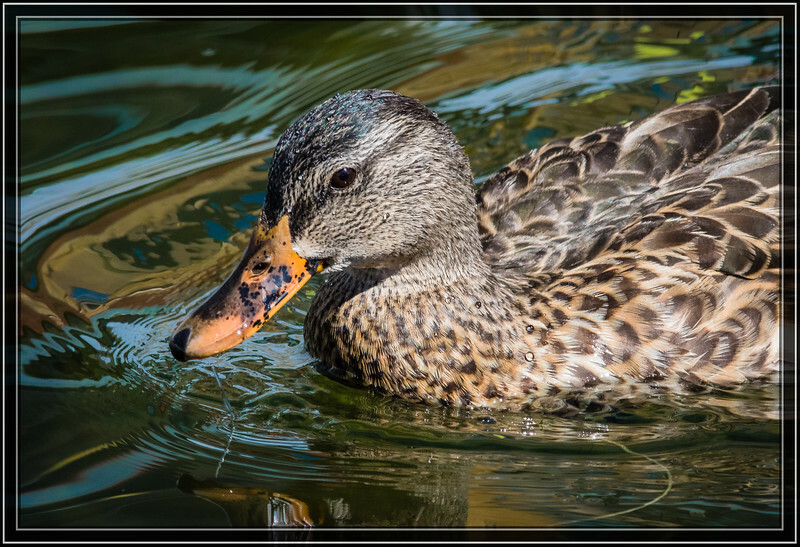 Nice close up of the duck, sitting in water with beautiful colors and ripples. Outstanding shot Rick. We have 'em too. I especially love the character of the water, with its ripples and reflections, that you've captured in this shot. Beautiful close-up with nice reflections in the water!